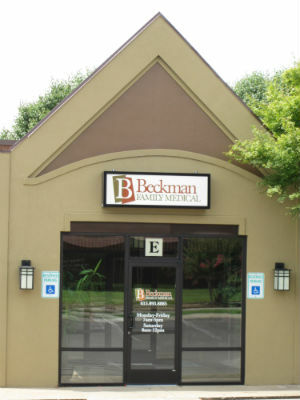 Beckman Family Medical — "Where We Treat You Like Family"
Beckman Family Medical opened in 2004 with a focus on offering patient-centered primary care services and providing the highest standard of care for families. Simple things like immunizations and healthy living goals can make a big difference in a persons quality of life. We take time to talk with our patients and understand their lifestyles to better treat them with a comprehensive, well rounded approach. The office is open from 7 a.m – 5 p.m. Monday through Friday. 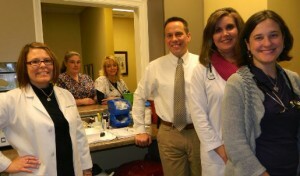 Beckman Family Medical boasts extended office hours to work around their patient’s busy lifestyles. We know the last thing you want to do is wait in a doctor’s office, so we’ll try to keep the wait time to a minimum. Of course, the convenience of same day sick appointments is offered as well. Our comprehensive primary care services are available to provide the highest standard of care for families. So whether you need a sports physical or an acute care visit, we’re here to serve your needs. We work together to partner with our patients in the long range planning of their family’s total health care needs. Through a strong preventative approach, Beckman Family Medical helps patients attain the healthiest lifestyle possible.